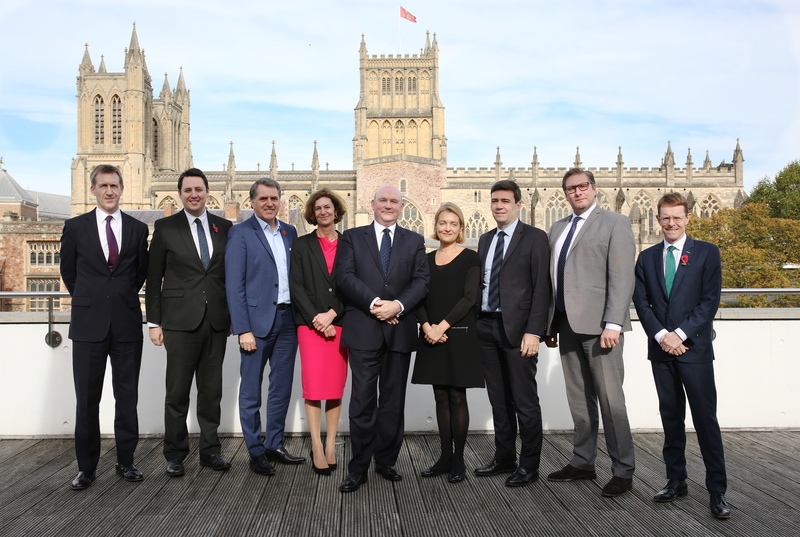 It was a momentous occasion this week as I welcomed my Regional Mayor colleagues from across the country to the West of England – it was the first time that we had met together in Bristol and it was a very productive and positive discussion. I have lived in the West of England for decades and now as Regional Mayor, I can use my knowledge of where we live to benefit the region, embracing the opportunities and addressing the challenges we face – but I need the right tools to deliver. Brexit provides a real opportunity to take back control and re-think the way money flows from Whitehall to Combined Authorities. The benefits of devolution are being felt in the West of England and now is the time for government to move away from decentralisation in order to truly empower communities. The upshot of our meeting is that we are calling on the Government to strengthen devolution and fully-fund and devolve the Shared Prosperity Fund – worth at least £2.4 billion a year – which the Government has promised to set up following the United Kingdom’s exit from the European Union. We want to ensure the fund isn’t held in Whitehall, but is instead devolved to regional leaders to further boost devolution and empower Metro Mayors to ensure money is spent on priorities defined by our local areas. We are also pushing the Government to remove unnecessary layers of bureaucracy, moving from decentralisation to full devolution to cut down on red tape. The introduction of a streamlined and consistent approach is needed across government departments to fully embrace devolution and maximise the benefits across the country. Metro Mayors represent regions which account for nearly 42 per cent of all British growth (GVA), and the role of Mayors leading Combined Authorities provides an opportunity for government to utilise the expertise and leadership already available to grow local economies, embrace the opportunities and address the challenges facing our regions. As the most powerful group of the directly-elected regional leaders, and a unified voice, we are calling on the Government to grasp these opportunities to re-focus on the devolution agenda and provide regions, like the West of England, with the powers and funding needed to ensure economic growth and prosperity. I will keep pushing for this to best serve the interests and needs of our region, and I look forward to updating you with our progress in future blogs.